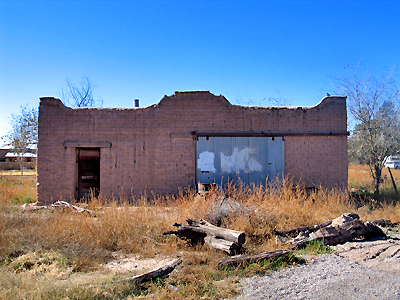 Here’s the old Mesilla blacksmith shop, which was built before 1900. It’s been closed for 40 years. 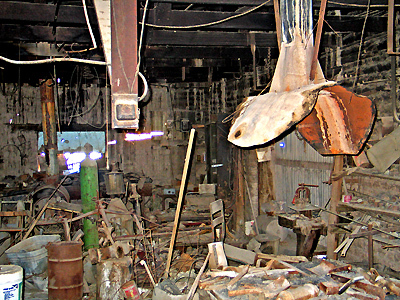 The original blacksmith and owner was Simon Guerra. 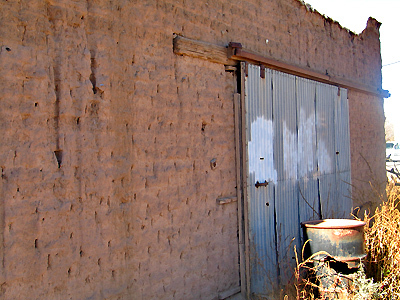 The structure is unplastered adobe. 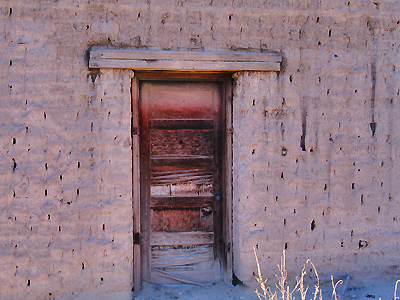 Here’s a closer view of the weathered front and the sliding horse door.